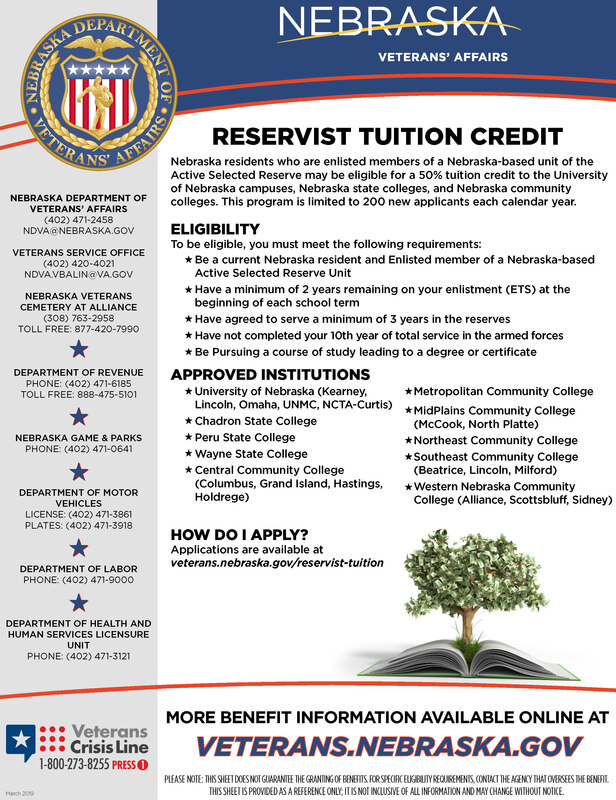 The University of Nebraska, the Nebraska State College System, and the Nebraska Community College System participate in a tuition credit program that will provide a credit for 50% of the tuition charges for enlisted members of Nebraska-based units of the Active Reserve of the armed forces of the United States; as set forth in NE Revised State Statutes 80-901, 80-902 & 80-903. 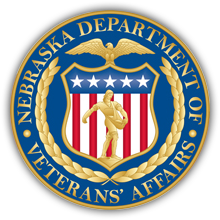 In order for an acitve reservist to receive the tuition credit, they must meet the Nebraska residency standard for in-state tuition. NE R.S.S. 85-502 defines the minimum requirements that individuals must meet in order to be eligible for in-state tuition. If the residency requirement has not been met, the reservist will experience a delay in receiving the tution credit until those requirements are met. If you have never applied for Reservist Tuition Credit before, are changing schools, or have missed a term other than the summer term - You will need to complete an application. If you have been approved for Reservist Tuition Credit and are starting a new term at school - You will need to complete a Re-certification Form.